For the past sixteen years, in compliance with the United States Conference of Catholic Bishops’ Charter for the Protection of Children and Young People, we have had in place protocols for reporting abuse to law enforcement, background checks for anyone working with youth, ongoing training in awareness and prevention of abuse, and policies to ensure appropriate interaction between youth and adults in all our programs. In the wake of recent national reports of the sexual abuse of minors by clergy, on August 18, 2018, I informed Catholics in northern Nevada that I wanted a review of our commitment as a diocese to safeguard all minors. I asked the Diocesan Review Board, comprised of lay women and men, to conduct this review. Since then the members of the board have diligently undertaken this task. In addition to an examination of current policies and procedures, I also asked them to review the clergy files because I decided, as a measure of transparency and accountability, to make public the names of clergy and religious who have been credibly accused of sexually abusing minors. As a result of this review, the Diocesan Review Board recommended the following list of names of priests and religious who have been credibly accused. The determination of a “credible” accusation was based on such factors as corroborating evidence or criminal prosecution or admission of guilt by the accused. The process of determining credibility was not a formal legal process. In publishing this list, it is our hope that it may bring some healing to those who have been abused. We can read the names of the perpetrators, but what is not seen in print are those men and women who have suffered the harm inflicted and the pain they have carried through their lives. That clergy inflicted such grave injury on minors fills me with shame and sorrow. 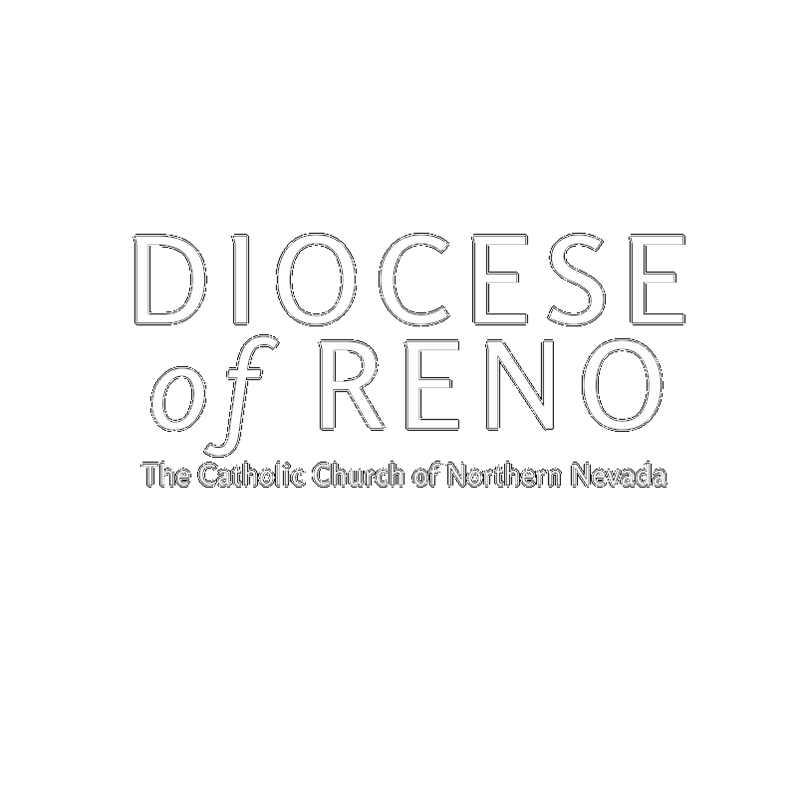 In the name of the Diocese of Reno I offer my profound apology to them and to their families. Most of the priests on the list are deceased and for some of them, an accusation of sexual abuse was made after their deaths. Nevertheless, the Diocesan Review Board found evidence to conclude the accusation was credible. Recently, allegations have been investigated regarding Philip Napolitano FSR, a member of the Brothers of the Holy Rosary here in Reno. These allegations concerned incidents that took place at St. Christopher’s School in Las Vegas between the years 1964-1974. In accordance with the Essential Norms promulgated pursuant to the Charter for the Protection of Children and Young People, a canonical process will be initiated to determine Brother Philip’s guilt; at its conclusion, the results will be made public. The Diocesan Review Board will continue to evaluate all information as it is received and thus the list of names may be updated or expanded in the future. Anyone who has been sexually abused by a member of the clergy, a church employee or volunteer is encouraged to contact civil authorities and/or the Victims’ Assistance Coordinator (Eastern Nevada): Marilyn Janka at 775-753-9542, or (Western Nevada): David Caloiaro at 775-450-3618 or the Diocesan Victim’s Assistance Hotline at 1-844-669-8911). Attached to this letter is the list of the assignments of each of the priests named above. May God strengthen our resolve as a church to protect children from abuse and to uphold the dignity of every human being. The High Desert Catholic is the official news magazine for diocese. New issues come out every other month. PLEASE NOTE: The Chancery office will be upgrading our internet connections starting Thursday April 18 2019. This will interrupt service to our emails. phones and access to the CSA program. If you need to contact the Chancery office, please wait until Monday morning. Thank for very much for your patience. Pledges for CSA 2019 have been mailed out. Please complete those pledges and lets work together. As members of the Catholic Church, we are one body in Christ with a shared belief that each of us is a part of a whole, and that each part of the body is dependent upon the other. The 2019 Catholic Services Appeal theme, For Christ, We Serve Together, focuses on serving together to meet the needs of the whole. We serve through ministries. We serve by educating. We serve through prayer and worship. We serve through formation. If you have any questions please contact Carmen Godoy or Brizieda Gonzales at 775-326-9444 or 775-326-9433. The Today Tomorrow Together Capital Campaign for the Diocese of Reno seeks to raise a minimum of $12 Million to provide the diocese with the resources to carry out its mission today and for many years to come. These funds will be used for two purposes: To establish a Permanent Endowment fund to support vocations and diocesan ministries, and to strengthen the Deposit and Loan fund for parishes and schools. The Endowment will be kept within the Catholic Community Foundation, a separate legal entity of the Diocese of Reno. Click here to make a donation or a payment on your pledge. Pledge redemption occurs over over three years. The Diocese of Reno is committed to the safety of our children and vulnerable adults. We have in place policies and protocols for all staff, lay and clergy, and all volunteers that require training and/or background checks. We are in full compliance with the Dallas Charter and remain diligent in maintaining this compliance. Through the “Protecting God’s Children” we train all adults who are employed or wish to volunteer within our parishes and agencies who have access to children. To find out more and to register for the “Protecting God’s Children” training, click on the RED BOX below.